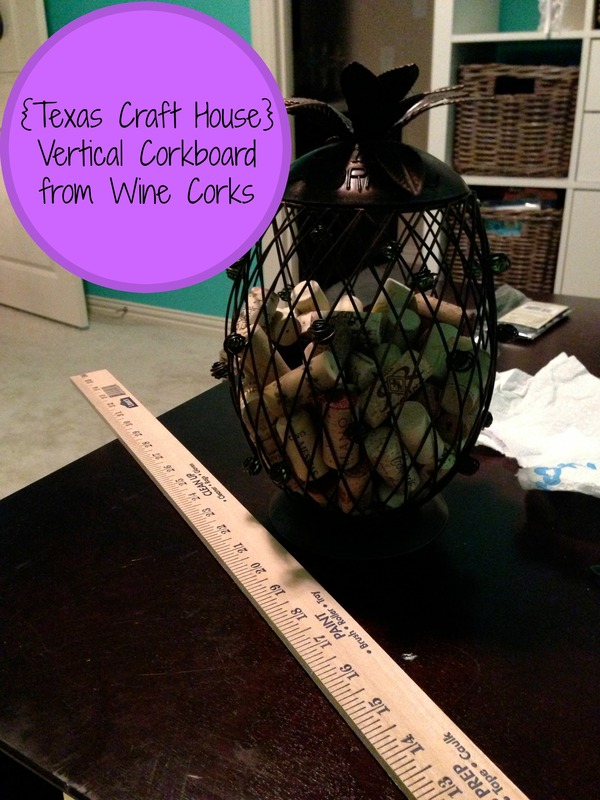 I had a huge stash of wine corks saved up and several ideas on how to use them! I had already made my mom an awesome monogram cork board, but discovered I didn’t have the space for one of my own. I do however have this support pillar in my kitchen that needed some oomph. 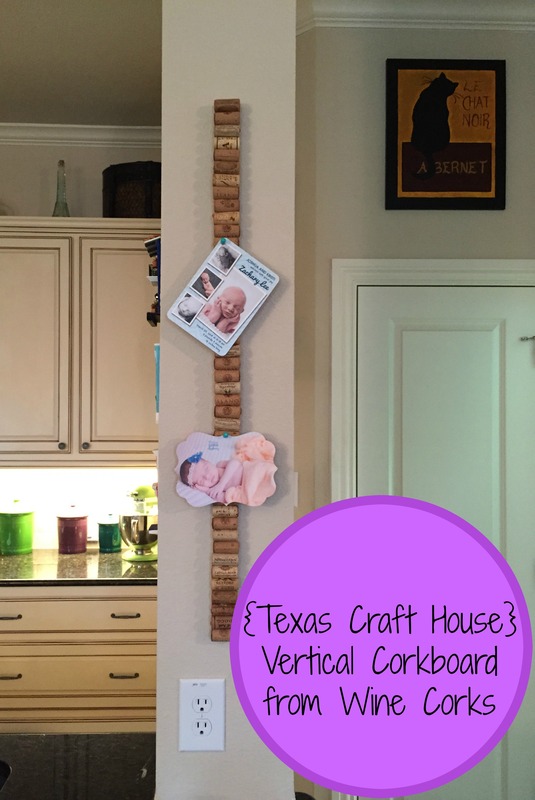 That’s when I saw the idea to use a yard stick to make a vertical cork board on Pinterest. Lucky for me, I had just scooped up a yard stick at Lowe’s for $2.98! Knowing how Gorilla glue can expand I used it very sparingly and just ran it in a line down the yard stick. Do you like my wine cork cages? I actually have quite a few, you can see my pineapple and wreath one in the photos, and I got them from Amazon.com. 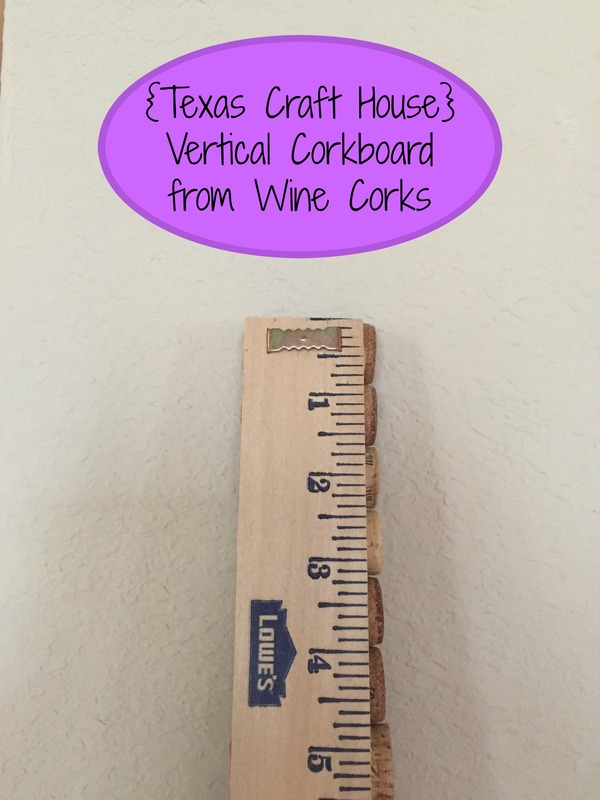 I didn’t cut the corks in half, but you can easily do that if you don’t have enough corks. 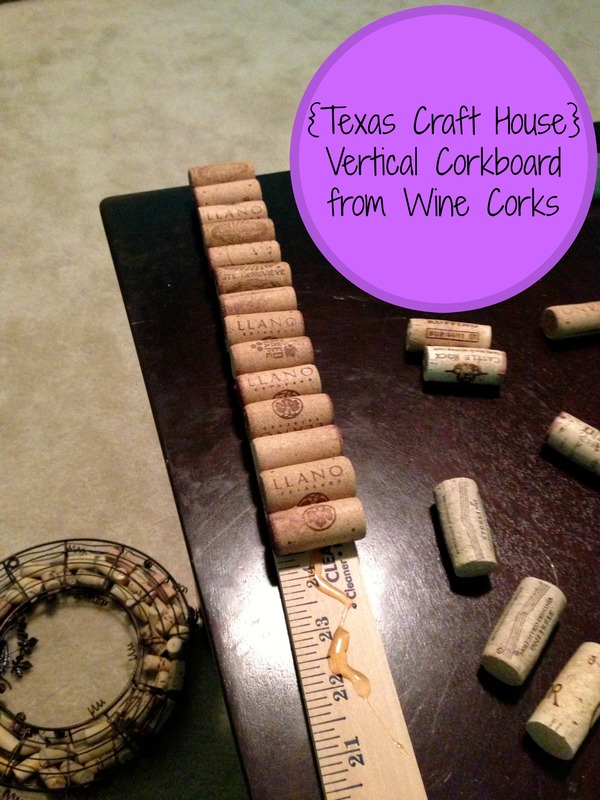 I also only used the wine corks that were cork material so everything matched. 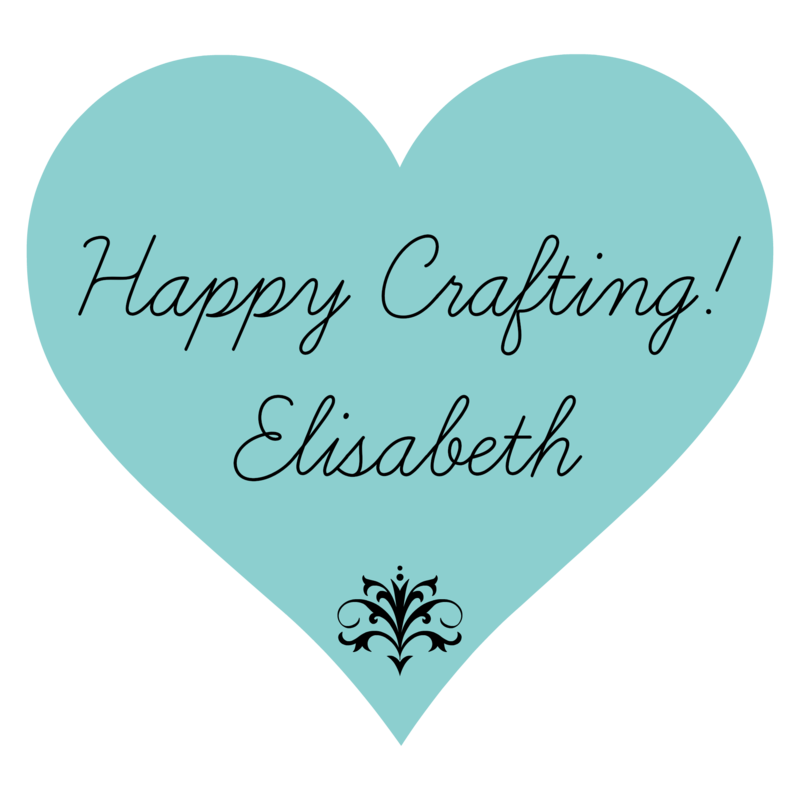 I let the glue set for a day and then flipped over the yard stick and hammered in my mounting bracket, a nail-less sawtooth picture hanger that can be found at any hardware store. I love how this turned out and it cost me less than $5 in extra materials! On the other side of my pillar I have the Casitas I collect each time I visit my family in Puerto Rico! What would you do with a support pillar in the middle of your home?